The legal weight for an eighteen wheeler is 80,000 lbs. That’s 40 tons. The average automobile weighs about 5,000 lbs. The average length of an 18 wheeler varies generally between seventy and eighty feet. Obviously, big rigs present a very serious danger to all of us. But, big rigs are essential. Our country cannot function without them. Another harsh reality of motor vehicle collisions involving big rigs is that the resulting injuries are usually severe or fatal. Over 500,000 trucking accidents occur every year in this country, out of which approximately 5,000 result in fatalities. In fact, 18-wheeler trucking accidents account for one of every eight traffic deaths. If you have been injured in a wreck involving an eighteen wheeler, call us. We can help. If you or a loved one has been injured in an 18-wheeler accident, contact us today for a free consultation or visit us at 2901 Johnston Street in Lafayette. If you choose Webre & Associates as your 18-wheeler accident attorneys, you will only owe us money if we collect from someone else on your behalf. 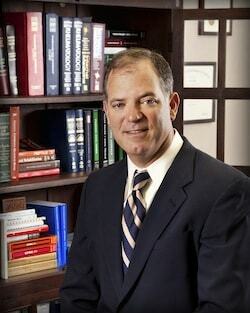 Webre & Associates represent injured parties in Louisiana and Texas. Attorneys Scott Webre and Whitney Ikerd handle personal injury and wrongful death cases involving medical malpractice, 18-wheeler accidents, automobile accidents, boating accidents, defective products, oilfield/maritime accidents, as well as cases involving nursing home abuse and neglect, legal malpractice and other professional malpractice.